Prepare the peppers by cutting the tops off and scooping out the veins and seeds. Using a spoon is helpful in scooping out the veins. Rinse. Brown the sausage (or hamburger or combination) along with the garlic and onions. 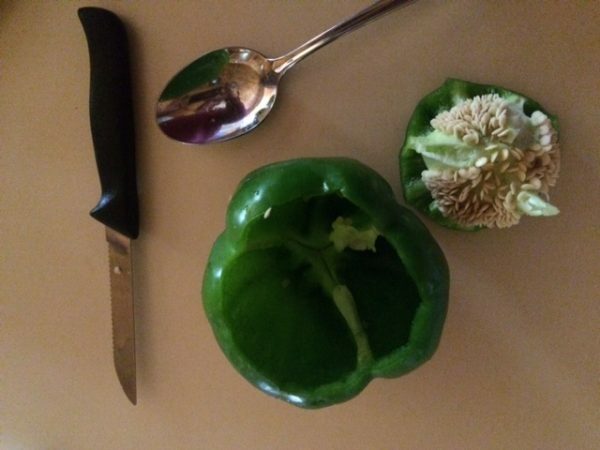 I also put little pieces of the green pepper tops in here. 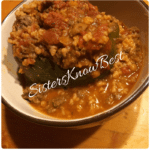 Warm your sauce - or make your own! Add cooked rice and lentils to the browned meat mixture. 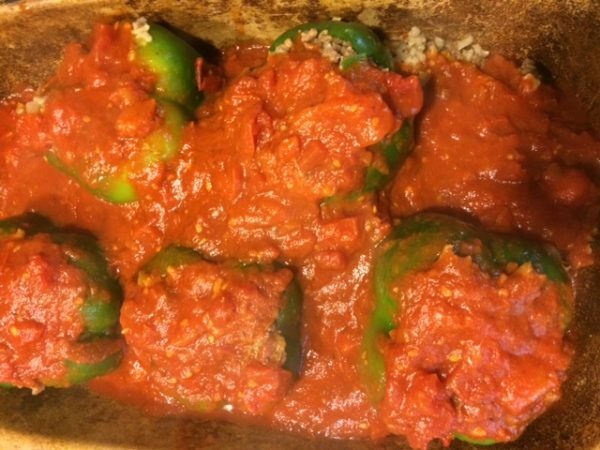 Place peppers in your baking dish with sides that are taller than the peppers and fill with the rice/lentil/meat filling. 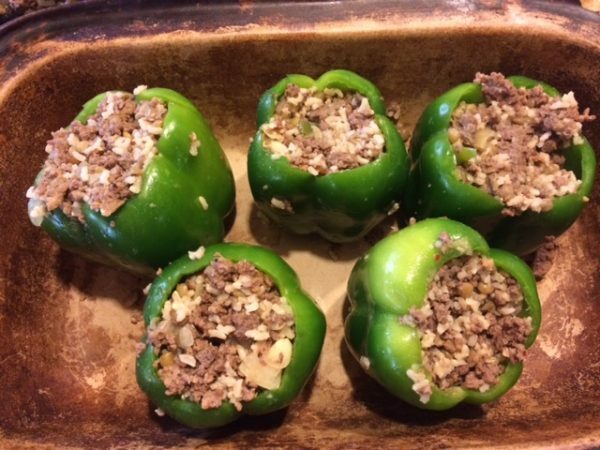 If you have leftover filling, place this around the peppers. Pour the sauce over the entire pan. Cover the dish and bake in a 350 degree oven for approximately 1:30. 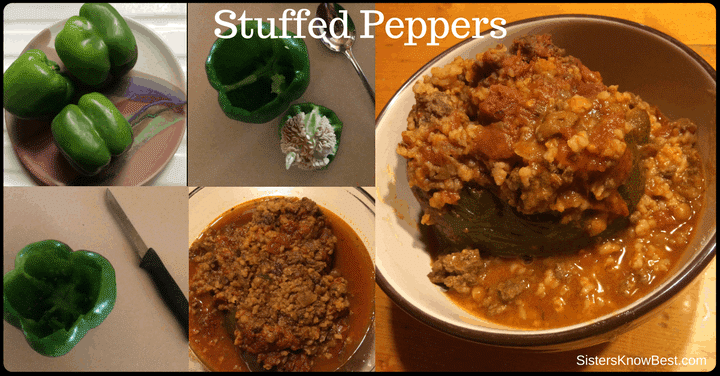 There are SO MANY variations to stuffed peppers. 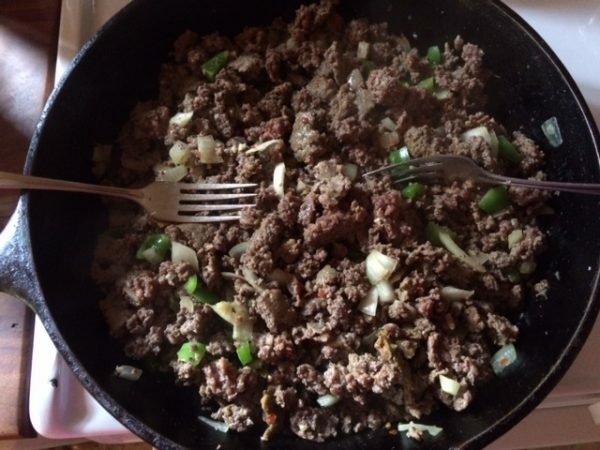 Some use bread crumbs, rice, cauliflower, burger, sausage, salsa… the possibilities are endless! How do you make yours?